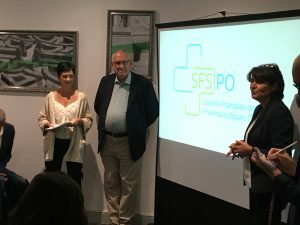 The aim of the French Society of Pharmaceutical Sciences (FSPS), a new pharmaceutical academic society, is to promote all the dimensions of the pharmacy at the crossroads of many areas of expertise and the coordinated exercise between different professionals health. This is about improving knowledge, care and primary health care, prevention and information at the pharmacy. 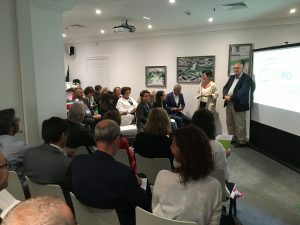 The FSPS, co-chaired by Béatrice Clairaz-Mahiou and Thierry Barthelmé will carry out all actions for the promotion and valorization of the collective interests of its members and the recognition of their competences in the domains of public health. For our new missions, the SFSPO wishes to become a reference for all medical academic societies in the implementation of recommendations and good practices. Harmonization of pharmacopoeial practices is also a major issue that SFSPO is keen to take up. – and our contribution to create a coordinated care pathway for chronic pain patients in association with pain physicians.